, Chicago, Long Beach, Los Angeles, and Washington, D.C., can now enjoy more daily deals from your favorite daily deal sites in one single place, just as those in New York and San Francisco. Google Offers, which is now live in 38 cities across the U.S., is continuing to build momentum by partnering with three new deal provider partners, including CrowdSavings, SpaRahRah!™, and LocalWineEvents.com. These partners join Google’s growing roster of specialized deal providers that promote their deals through the Google Offers platform. Our new partners help us bring a greater variety of unique deals to Google Offers customers, giving you more reasons to treat yourself and your friends to a great deal. And if you take the Google Offers personalization quiz, we’ll only send you the offers that best match your interests each day, so you only get the deals you want, and not the ones you don’t. All your offers will be personalized to you in one email and they are accessible through the web or on your mobile phone. Subscribe and learn more about Google Offers by visiting: www.google.com/offers. And if you are a deal provider and are interested in partnering with Google, please get in touch with us via our partner program form. Starting today, those of you in Boston, Chicago, Long Beach, Los Angeles, and Washington, D.C., can now enjoy more daily deals from your favorite daily deal sites in one single place, just as those in New York and San Francisco.
. In only six months (since we first launched in Portland) we introduced amazing deals from beloved local business in 33 cities in the U.S., launched national deals and released our first mobile app. Well, good news deal lovers! We’re keeping up the momentum and 2012 is going to be just as exciting. As of today, Google Offers is available in five new cities including: Charlotte, Kansas City, Milwaukee, San Antonio and Tampa. the talented brewers churn out premium all-natural lagers and ales weekly. After tasting such fresh beer, your happy hours are sure to be even happier—$11 gets you a beer tasting, growler bottle, souvenir glass and a soft pretzel at The Olde Mecklenburg Brewery ($22 value). Some say Washington and Jefferson, others claim Adams and Franklin, but Kansas City’s vote for favorite founding fathers goes to Charlie and Arthur Bryant, veterans of the KC barbecue revolution. Cast your ballot at Arthur Bryant’s Barbeque, where $5 gets you $10 toward their iconic menu. In a city where the state domesticated animal is the dairy cow, residents have an innate ability to seek out great cheeseburgers. Follow your instinct to Sobelman’s Pub & Grill, where our first Milwaukee Google Offer is: $5 for $12 toward award-winning burgers and more. Lines often stretch out the door at the original West Saint Paul joint, so luckily you can also use this Google Offer to get mouth-watering burgers at the new Sobelman's Eastside Grill and Sobelman’s @Marquette. Though “beauty and charm” was not likely the mantra of the Benedictine Sisters of St. Scholastica, they’ve given their stamp of approval to Liberty Bar’s current residence in their old convent. Salmon-colored paint or not, you’re headed for a “quintessentially San Antonio spot” where $10 gets you $20 of “excellent, eclectic eats,” according to Zagat. With a menu full of secret family recipes and cafes with friendly and quick service, it’s no surprise that the Louis Pappas Market Cafe family restaurants have seen over eighty years of success in Florida. For $5, today’s Google Offers gets you $10 towards delicious Greek cuisine at any of the cafe’s four locations: Palma Ceia, Citrus Park, Lakeland and Clearwater. Be sure to try the popular “Greek-a-dilla”—a crispy flat bread full of meat, melted feta and cheddar jack cheeses, served with tzatziki. Check out www.google.com/offers to learn more and subscribe to Google Offers in your city to be among the first to know about the latest and greatest national and local deals, relevant to you. 2011 was quite a year for Google Offers. In only six months (since we first launched in Portland) we introduced amazing deals from beloved local business in 33 cities in the U.S., launched national deals and released our first mobile app. Google Offers to feature a week of Zagat’s top-rated eateries in Washington, D.C.
in Washington, D.C. this past September, we’ve partnered with a diverse list of restaurants all over the city, putting their unique fare in the hands (and mouths) of local foodies. We’re kicking off 2012 by showcasing several of the top Zagat rated restaurants in the D.C. community. Our goal is to continue to connect D.C. residents with local staples and foster the discovery of hidden gems. Kaz Sushi Bistro: Zagat calls Chef Kazuhiro Okochi’s hotspot “one of DC’s most inventive and approachable sushi restaurants.” Using only the freshest ingredients (and most cutting edge techniques), Chef Okochi prepares unique cuisine that keeps foodies coming back for more. See for yourself: $15 gets you $30 of refined Japanese fare. Kushi: Named Washington Post Editors’ Pick, this Japanese gastropub features authentic cuisine in a casual, modern atmosphere. Step outside of your comfort zone for Japanese delicacies like wood grilled eringi mushrooms and miso marinated black cod: $30 gets you $60 toward Japanese fare. Marvin: Featured by Zagat as a “place to see and be seen,” Marvin combines Southern-fried cooking with a continental twist. Sample soul food inspired by Marvin Gaye, the Prince of Soul himself: $80 gets you a five-course prix fixe meal—including beer and wine flight. Plus, expect a surprise if you attend the exclusive Google Offers event on February 23! Nage: Dive into a gourmet meal at Nage, where surf-inspired food is prepared using classic French technique. And see what Zagat, Food Network Magazine and The Washington Post are raving about for yourself: $20 gets you $40 of upscale bistro fare at this centrally-located hidden gem. Zaytinya: Called DC’s “Most Popular Restaurant” by Zagat, Zaytinya has earned accolades everywhere from The Washington Post to the Washingtonian to the James Beard Foundation. Taste Mediterranean like a true gourmet with superstar chef José Andrés’ modern mezze: it’s $45 for the Chef’s Winter Tasting menu at this Gallery Place hotspot. Plus, for every Google Offer purchased, Zaytinya and José Andrés’ ThinkFoodGroup will donate $20 to World Central Kitchen to help end hunger. The Google Offers D.C. team has worked hand in hand with these restaurants to bring you these great deals. We hope you enjoy this week of offers for top Zagat rated restaurants and take full advantage of the incredible food scene that our nation’s capital has to offer. To subscribe to Google Offers in Washington, D.C. and other locations across the U.S., please visit: www.google.com/offers. And check out our free Google Offers app for Android to find and buy great deals on the go. Since the launch of Google Offers in Washington, D.C. this past September, we’ve partnered with a diverse list of restaurants all over the city, putting their unique fare in the hands (and mouths) of local foodies. We’re kicking off 2012 by showcasing several of the top Zagat rated restaurants in the D.C. community. 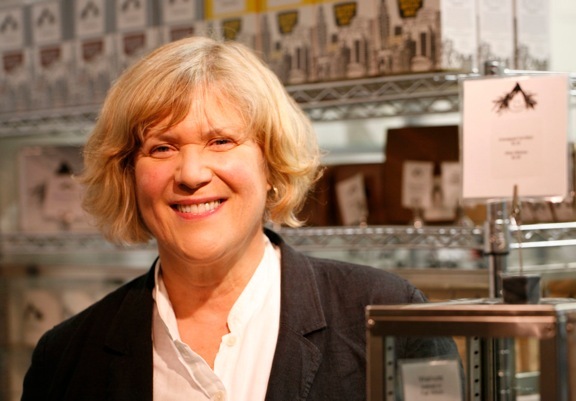 Our goal is to continue to connect D.C. residents with local staples and foster the discovery of hidden gems. 101st Annual Convention & EXPO-- A.k.a: Retail’s BIG Show. We’re excited to be at the show again this year and look forward to showcasing Google’s Commerce products including Google Wallet, Google Offers, Google Shopper, Google Catalogs, Google Product Search, Google Trusted Stores, Google Commerce Search, Offer Extensions, Product Listing Ads and more. Come visit us on the EXPO floor at booth number 2375, between January 16-17, to meet with the Google team and learn how our tools can help you attract new customers, connect with shoppers in new ways and drive growth for your business. We hope to see you next week at the show. In just a few days, we’ll be in New York to take part in the National Retail Federation’s 101st Annual Convention & EXPO-- A.k.a: Retail’s BIG Show. We’re excited to be at the show again this year and look forward to showcasing Google’s Commerce products including Google Wallet, Google Offers, Google Shopper, Google Catalogs, Google Product Search, Google Trusted Stores, Google Commerce Search, Offer Extensions, Product Listing Ads and more. 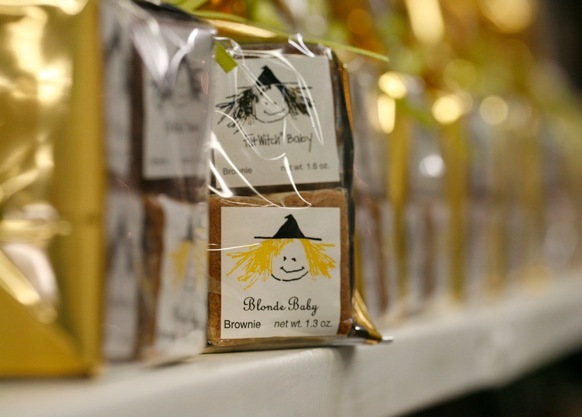 Located in New York's Chelsea Market, Fat Witch Bakery has been wowing customers and critics for more than 20 years with its all-natural brownies. Owner Patricia Helding worked as a Wall Street trader before launching her celebrated line of "witches.” Since then, Helding's bakery has grown to become a local, and national, favorite having been profiled on Oprah's "Favorite Things," the Food Network, and Good Morning America in recent years. Since opening the bakery in 1991, Patricia has never implemented a traditional paid advertising campaign because the “brownies speak for themselves.” However, with hopes to expand her brick and mortar business this year, Patricia has been looking for new ways to drive increased awareness for her brand as well as attract new customers. So, when the Google Offers sales team approached Patricia about running an deal, she jumped at the chance. “I’m a big Google fan to begin with, so it was a natural move to run a Google Offer. And Google has a huge reach. Everyone in the world uses Google. I like that people from all over can walk into the store and use a Google Offer to experience our brownies,” said Helding. Together, Patricia and the Google team crafted an offer that accurately matched the Fat Witch brand and business model. In July 2011, the bakery ran its Google Offer: $20 worth of brownies, gifts and more for only $10. In addition to the increased brand exposure Fat Witch garnered on the Google Offers site, the deal was also promoted on Google’s social media channels and sent to subscribers in New York City via email. "All I had to do was cover the cost of baking,” recalled Helding. If you’re a merchant and are interested in running a Google Offer, please visit google.com/offers/business.